SanDisk introduced the Memory Vault, a new storage device that promises to retain data at their original quality for up to 100 years. Besides the difference in price it's not really clear to me how these disks differ compared to regular flash drives though. SanDisk Corporation (NASDAQ: SNDK), a global leader in flash memory storage solutions, today introduced the SanDisk® Memory Vault, the first product in a new category of devices that are designed for long-term data preservation. 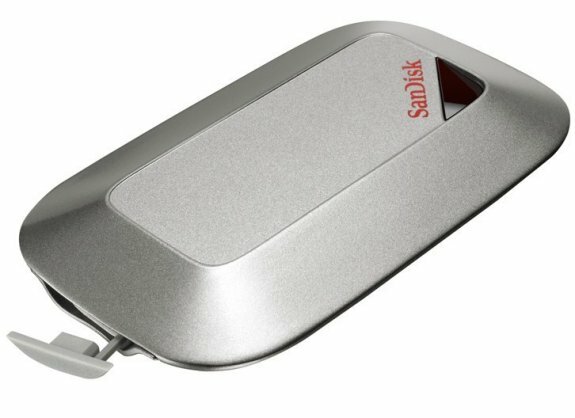 SanDisk announced the device today as part of a comprehensive new suite of retail products. The SanDisk Memory Vault is a photo album for the digital age that allows consumers to preserve images in one reliable location. The device connects to a computer's USB port for easy drag-and-drop functionality and features a sleek, ruggedized, metallic design that looks great on any desktop and fits into any drawer. "SanDisk already offers great image-capture products, and we've built upon that expertise to create a new category of image-preservation products," said Tim Sutton, senior product marketing manager, SanDisk. "The Memory Vault allows parents to preserve photos of their daughter's first steps alongside videos from her wedding and then pass those images down for generations to come." The SanDisk Memory Vault is available in 8 gigabyte (GB) and 16GB capacities and can store thousands of images and hours of HD video. The device carries MSRPs of $49.99 and $89.99 and includes a lifetime limited warranty.